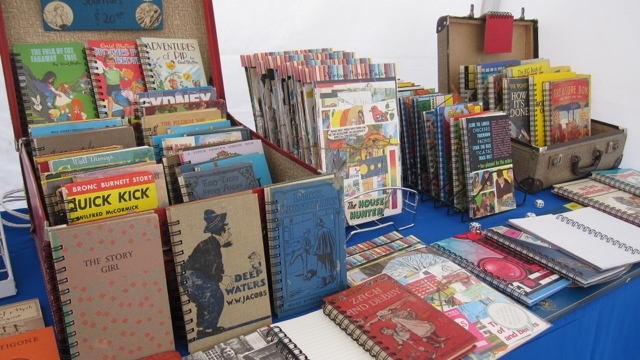 Items that has been used before have such history attached to them – that’s why I love to recycle vintage books. Anything to reduce the amount of waste we produce and throw away is always a good thing. It’s important to me because I know I’m getting something special when I purchase handmade and it’s made by someone who loves what they do…and all of that is just good for the soul! Which is your favorite Melbourne suburb and why ? Windsor – for the great pubs, coffee shops on every corner and the famous Mamara’s Turkish restaurant. 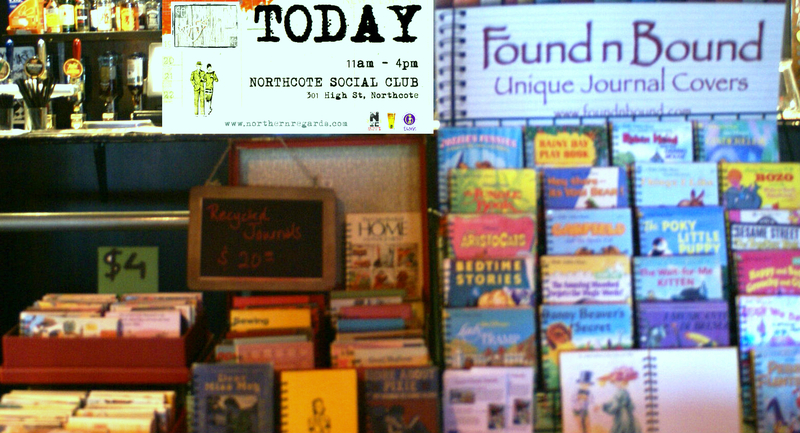 So come on down to Northern Regards Artisan Market on Saturday 2nd November 11am til 4 at Northcote Social Club and enjoy a well deserved wine with the fantastic Found n Bound ! 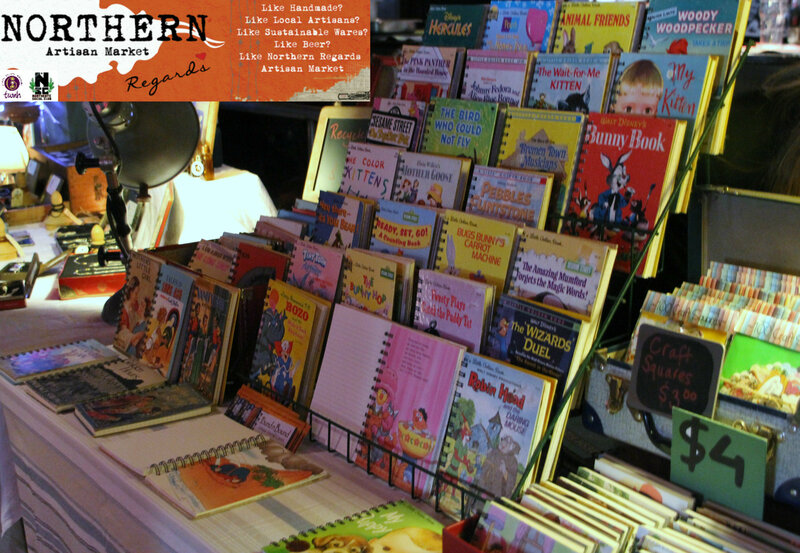 This entry was posted in Uncategorized and tagged childhood, Coffee, golden circle books, journals, Melbourne, Northcote Social Club, Northern Regards Artisan Market, Shopping, upcycled, Vintage. Bookmark the permalink.